When you need to be pampered, spa skin treatments are an ideal choice. From anti aging treatments to hydrating facials, today's spas offer a wide variety of luxurious services. Facials: A facial is a deep cleansing of the skin. A good facial should leave the skin soft, clean, hydrated, and free of blackheads and other impurities. Facial Mask: This facial treatment involves placing some type of concoction on the face and allowing it to dry. Masks can be made of algae, seaweed, mud, or any number of materials. After the mask is removed, the skin should feel tighter and smoother. Depending on the skin type and mask chosen, a facial mask may also exfoliate, hydrate, or treat acne. Body Scrub: The body scrub is an exfoliating treatment formulated to remove dead skin. There are many different types of body scrubs, all using different oils, vitamins, and salts, but the basic goal is the same--soft, smooth, hydrated skin. Body Mask: A body mask is exactly like a facial mask, except it is used on the entire body. Body masks are usually used for exfoliation. Body Wrap: There are different types of body wraps that achieve different goals. Some wraps are intended to detox the body; others promise to quickly remove pounds and inches. Either way, the procedure is the same. Your body will be covered in a liquid, cream, or mud and then tightly wrapped. Be aware that any weight loss from a body wrap will be water weight, so the results are short-lived. Still, if you have the money to spare and you need to fit in a special outfit, a body wrap can help. 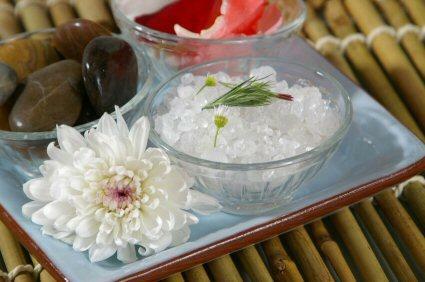 In addition, most spas also offer a variety of massages, pedicures, and manicures. Dermabrasion: In dermabrasion, the surface of the skin is sanded away to reveal new skin underneath. The procedure requires general anesthesia, and recovery time lasts several months. Chemical Peels: A chemical peel uses a chemical-based solution to burn away the top layers of the skin, revealing youthful new skin. Chemical peels can be light, medium, or deep depending on the physician's credentials, the chemicals used, and the treatment selected. Deep chemical peels are very painful, require anesthesia, and require a lengthy recovery time. Botox: Botox is an injectable form of the bacteria, Clostridium botulinum. When injected into the face, it temporarily makes the muscles unable to contract, thus smoothing wrinkles. Photo Rejuvenation. For photo rejuvenation, the practitioner uses lasers to smooth away wrinkles, fine lines, age spots, and other skin conditions. Besides spa skin treatments, many med spas also perform tattoo removal and laser hair removal. With continuing advancements in skin technology, you will find a variety of expanding services available at local skin spas. Shop around to find a service center that suits your budget and personal beauty needs.